Dr. 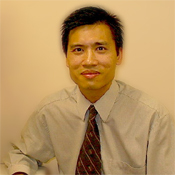 Son Vu has spent his entire professional career practicing in Wyomissing, PA. Dr. Vu graduated from Pennsylvania College of Optometry after completing his undergraduate work at Temple University. He has lived in this area for the last 28 years and is a graduate of Holy Name High School in Wyomissing. His clinical interests include family practice, ocular disease, and contact lenses. Dr. Vu is board certified and licensed to prescribe medication whenever medically necessary to correct eye related conditions ranging from conjunctivitis to glaucoma therapy. We are proud to have Julie Fischer as a member of our practice. 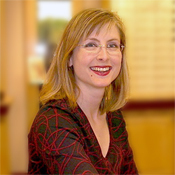 Julie is an optician certified by the American Board of Opticianry. She has many years of experience in the eyecare field. 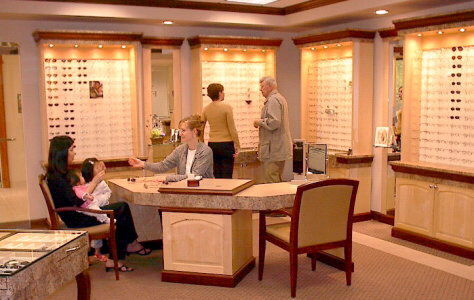 Julie will assist you in selecting the perfect eyewear and ophthalmic lenses to enhance your appearance and vision with expert and personalized care. 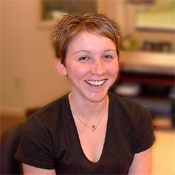 Jennifer Wert joins our practice after attending Kutztown University. Jennifer will help you with administrative issues such as scheduling and insurance questions. She will also assist Dr. Vu with visual pre-testing and training contact lens patients. Jennifer is dedicated to helping make your visit as pleasant and comfortable as possible.